first “T” stands for Tadpole because the OR36 Tadpole Resettable Diving Weight is the ultimate diving device for fishing walleye spinner rigs. What sets the Tadpole apart from in-line weights and other diving devices is the simplicity in which these divers function. There are no trip arms or adjustable screws to mess with. The only moving part on a Tadpole is the coast lock snap that attaches to the terminal end of your fishing line and slides up and down on the tow arm of the diver. When the Tadpole is dropped into the water the snap slides to the elbow of the tow arm and the Tadpole dives much like a crankbait. The depth of the Tadpole is controlled by controlling the lead length. The exact diving depths of the Tadpole Divers can be purchased for a nominal price by visiting www.precisiontrollingdata.com. When a fish strikes and is hooked, the snap slides to the forward position and the Tadpole no longer dives and rises to the surface making it easier to fight hooked fish. Tadpole Divers come in four different sizes, but for walleye spinner fishing my favorite is the No. 1. This one ounce weight dives nearly twice as deep as a one ounce keel sinker on the same lead lengths. The extra diving depth of the Tadpole allows me to reach target fish using shorter lead lengths, which in turn works to generate better hook up ratios. Even better, the Tadpole has diving resistance in the water so when a walleye strikes the trailing spinner rig, the hook is firmly set even before the rod comes out of the holder. The second “T” stands for Tattle Flags because any time I’m fishing Tadpole Divers I’m also fishing OR12 Side-Planer boards equipped with a OR12TF Tattle Flag kit. These spring loaded flag kits are designed to allow the flag to tip down when a fish is hooked making it much easier to detect bites. The spring tension on the Tattle Flag is adjustable making them sensitive enough to telegraph not only walleye bites, but also when non-target species like white perch, sheepshead and white bass are inadvertently hooked. 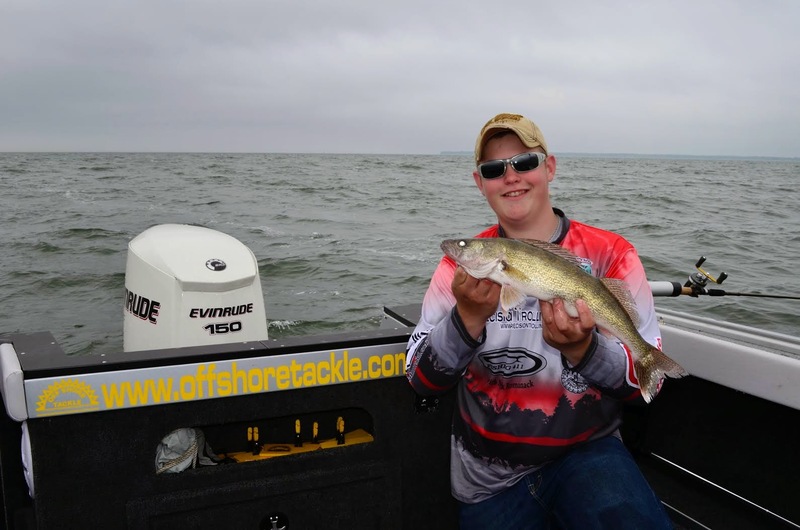 Tattle Flags are critical to spinner fishing success because this presentation is practiced at slow trolling speeds, the Tattle Flag virtually guarantees every fish that bites will be detected immediately. other places where these fish suspend in the water column. 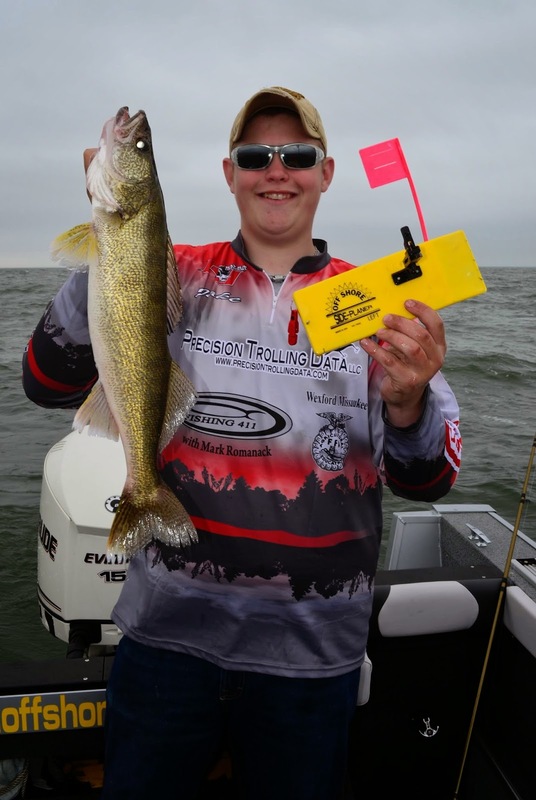 Combining the Tadpole Diver with the the OR12 Side-Planer and a Tattle Flag kit allows me to target walleye at any depth and spread my lines out to cover the maximum amount of water. This simple set up has become my “go to” walleye fishing system when fishing Lake Erie, Saginaw Bay or anyplace that walleye tend to suspend in the water column. For more information on spinner fishing with Tadpoles check out the Kindle E-BookSpinner Fishing Secrets by Mark Romanack available at Amazon for just $6.99. 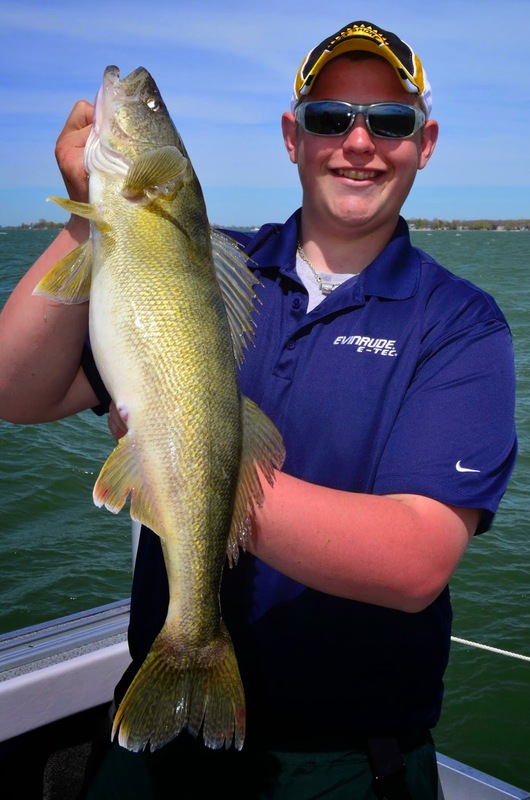 Editor’s Note: Captain Jake Romanack is the youngest member of the Off Shore Tackle pro staff and one of the rising stars in professional fishing.